Simply showing up for work every day does not necessarily ensure one’s productivity. Feeling comfortable and happy at the workplace matters just as much as having the right equipment to get the job done. Big companies are investing a lot in the work environment and the wellbeing of their employees and you should do the same for you if you’re working from home or if you simply have a home office for casual, everyday tasks. 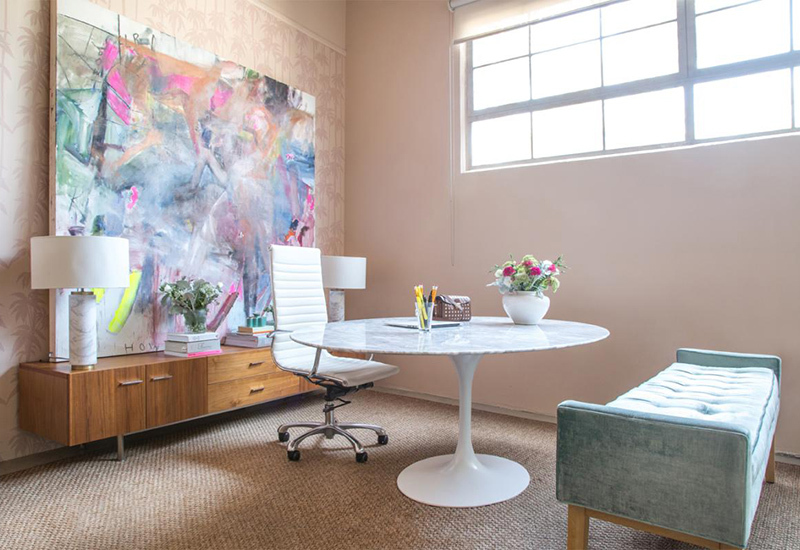 In this case the office decor is more important than ever so let’s see a few of the styles and options that you could adopt. It’s always great to find inspiration in nature and in your immediate surroundings when decorating a space, especially one with a view. If your office has large windows you could leave them exposed and bring some of the outdoor colors inside. Perhaps a mix of green and blue would be to your liking. An inspiring example in this sense can be found on Amy Studebaker Design. 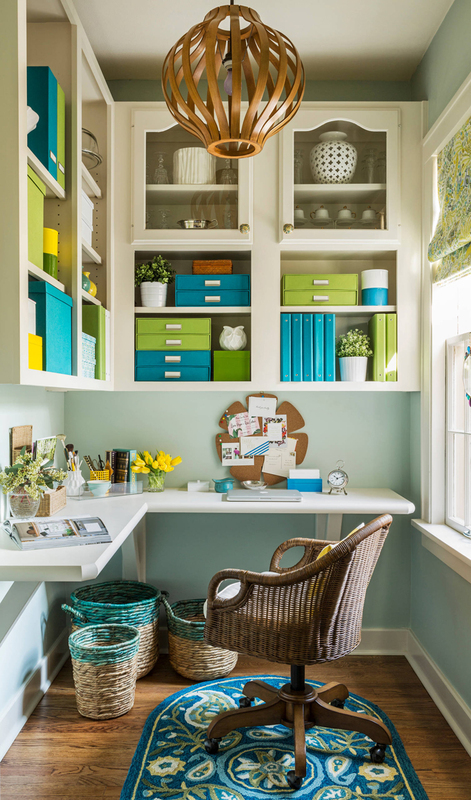 In a small office it’s usually good to avoid too many colors as it can make the space seem even tinier and quite cluttered. Consider white walls, a white ceiling and one or two accent colors combined with simple furniture and decorations. Once again, Andria Fromm can be a source of inspiration. A lot of the office decor ideas that you probably have in mind most likely include some sort of storage for all the things that have to be kept in the room. Open shelves or a combination of shelves on top and closed cabinets at the bottom usually works out great in office no matter what the style is. If you like this particular display, check out Eileen Deschapelles for more details. In a small office you don’t really want the desk to occupy the whole room. At the same time you require a large work surface and plenty of storage. That can be achieves with a wall-mounted desk, perhaps even a corner one in combination with wall-mounted cabinets or shelves above it. 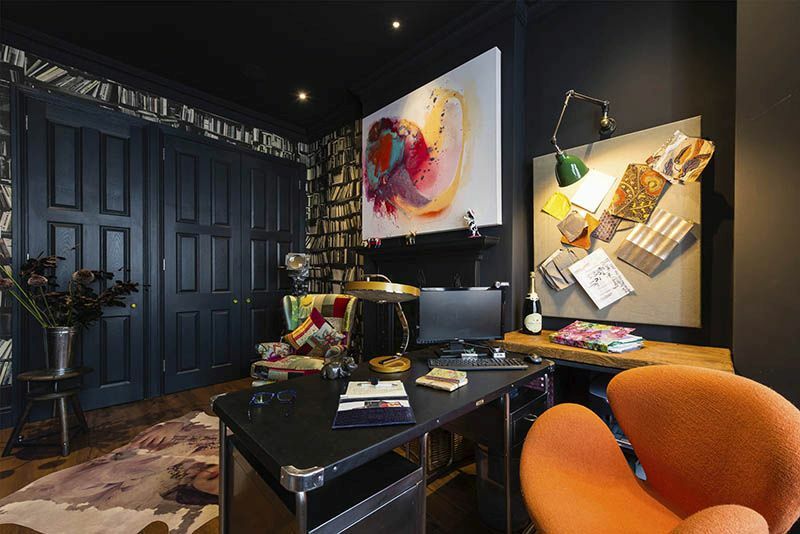 Every room needs a focal point and the office is no different. A very nice idea which comes from West Haddon Hall is to take the attention away from the desk and other work-related elements and to put the focus on a beautiful piece of art. You could also turn the light fixtures into focal points or use a nice view to your advantage. 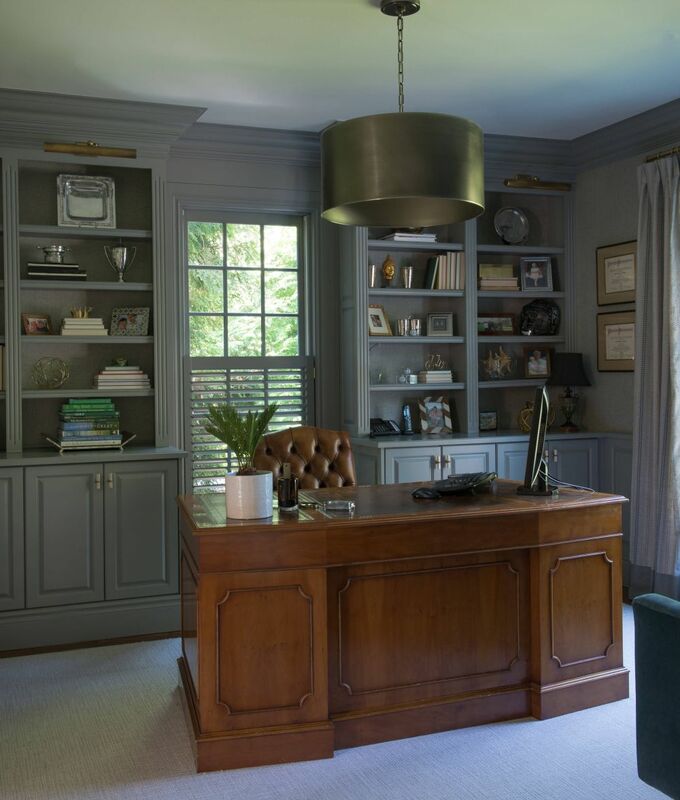 If you’re decorating your own home office, you should make it look and feel like home. A nice idea can be to use a table instead of a computer desk and to add storage in the form of a media center-like unit. Check how this stylish and modern office setup featured on Ae Design. Isn’t it exquisite? Dark colors are nothing to be intimidated by. It’s true that many of us avoid using black in interior design because they thing the color makes spaces appear small and gloomy. However, that’s just a misconception and in reality black can actually make a space look and feel welcoming, warm and comfortable. You can use this to your advantage when planning your office decor. Another very efficient way of making an office decor look warm and welcoming is by using plenty of wood and taking advantage of its natural warmth, beautiful texture and even its color. This office decor done by ONG&ONG definitely knows how to do all that. If you’re decorating a shared office like the one designed by mck architects, you have to plan the layout and everything else accordingly. Instead of separate desks a nice way to keep things simple is to have a single, shelf-like desk which can accommodate several workstations. It’s a strategy which works well both for home offices and professional, corporate ones. Having sufficient natural light is very important, especially when working in an office. That’s why desks should be in front of windows if and whenever possible. This full-height windows bring in more than just light as it also offers a wonderful view and provides a stunning backdrop for this office designed by Gregory Phillips Architects. 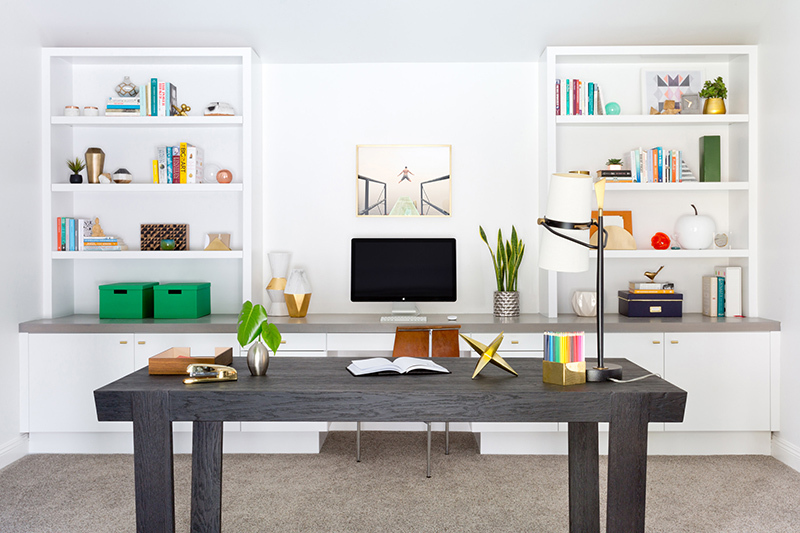 This office created by Matt Garcia Design for a house from Austin is not just spacious and stylish but also very well organized. The long, shared desk is facing the large windows and the stations are separated by storage cubbies. There’s also a bigger storage area at the end of the room. A particular cool and interesting detail in this case is the color of the furniture. It’s sort of neutral but sort of warm and pink at the same time. The search for the perfect desk can be very long and tedious. When you finally find it everything falls into place and the entire office decor starts to make sense. That is, of course, if you planned everything right. 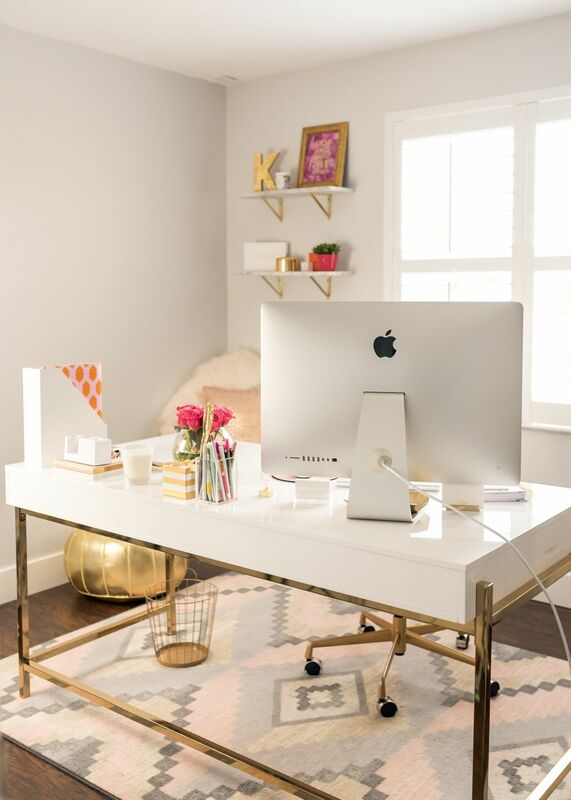 Perhaps this chic setup from thefancythings can serve as a source of inspiration. Notice how pretty much everything in the room suits the whole golden color scheme. If you have the space, perhaps it would be nice to add a cozy window nook to your office. It can be a nice relaxing place to unwind, take a break and look out the window, read or even work on your laptop. 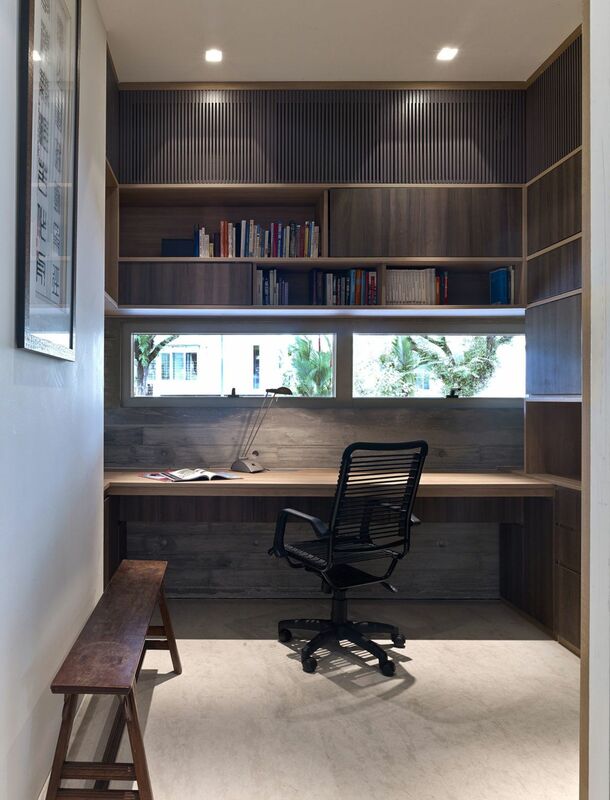 This office gives you an idea of how you can make the space even cozier using other means. We love the rustic look of the furniture, the neutral colors and the attention to detail. 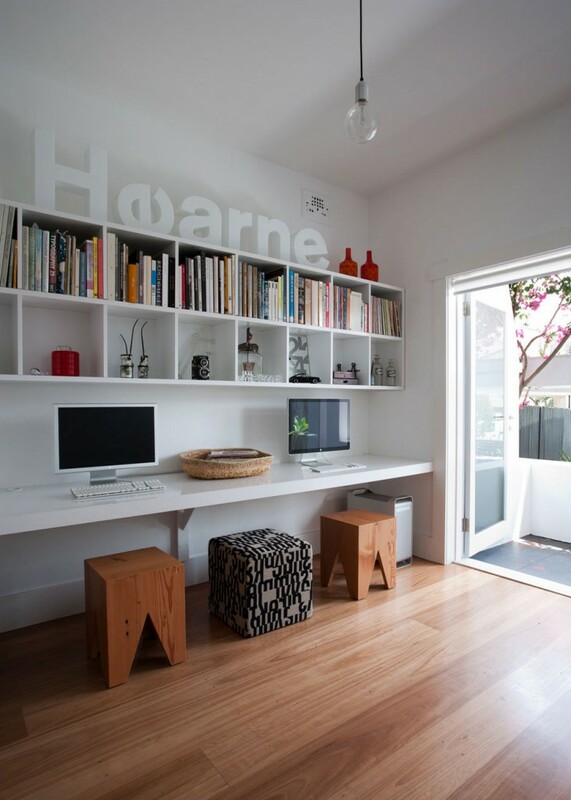 In a lot of cases, the home office is actually a multi-purpose space. If you don’t want to or don’t have the space to create a separate office room, the space could double as a guest bedroom. A Murphy bed would be a perfect fit in this case. 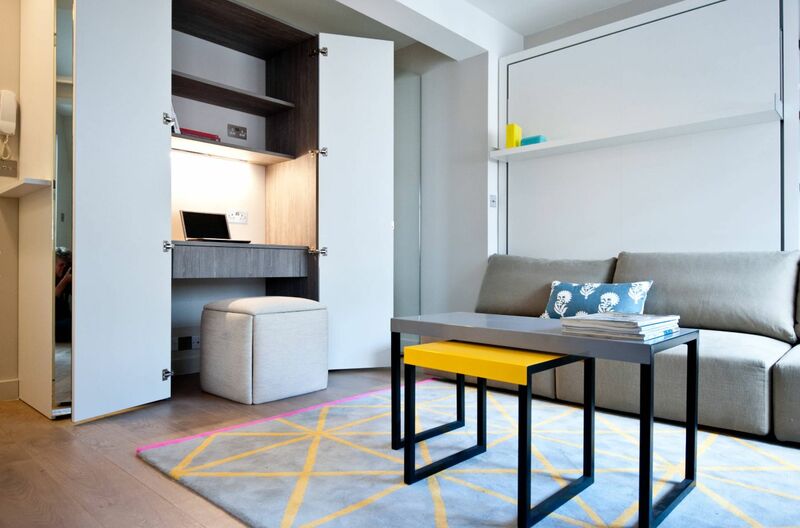 Of course, if we consider this closet office idea, the possibilities are actually more numerous and you could easily integrate the workspace into the living room or to put it on a large hallway.